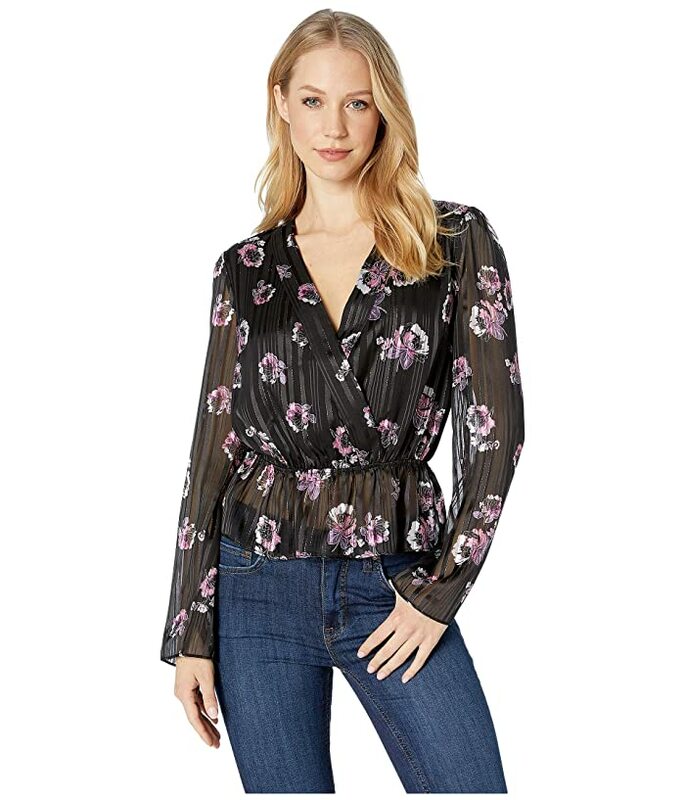 Showcase fun and fab style with this WAYF™ Virginia Shawl Collar Peplum Top. 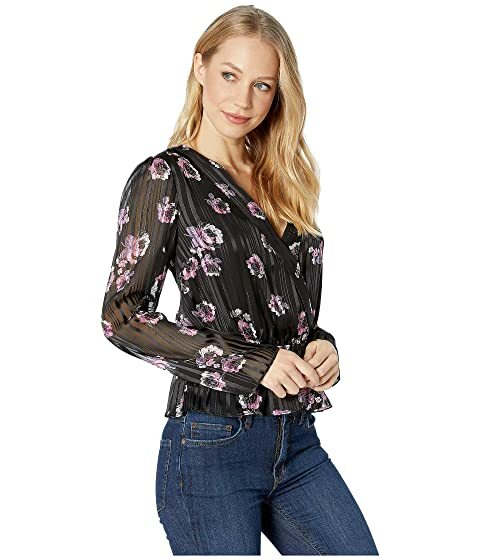 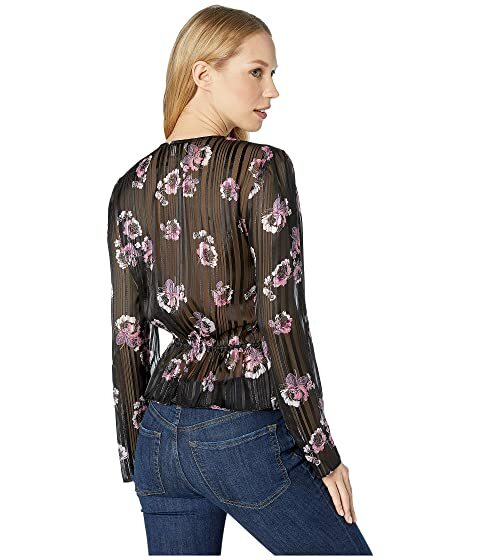 Metallic-striped blouse flaunts a romantic floral design throughout. 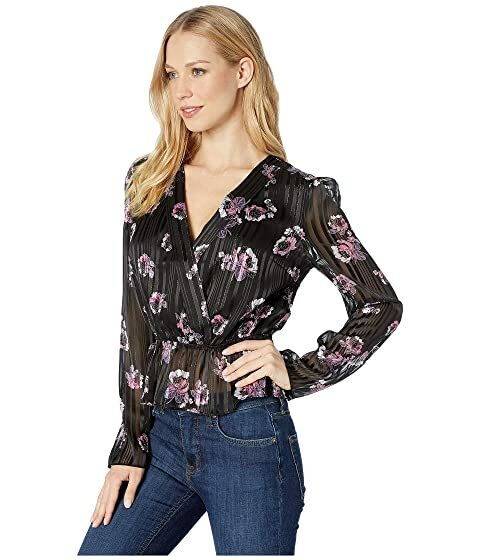 V-neckline with a shawl collar.